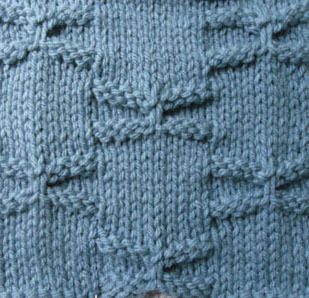 This is a relatively easy stitch, and reminds me of dragonflies. 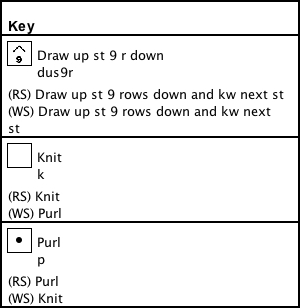 The pattern can easily be changed by shortening the purl rows, to give a butterfly effect. 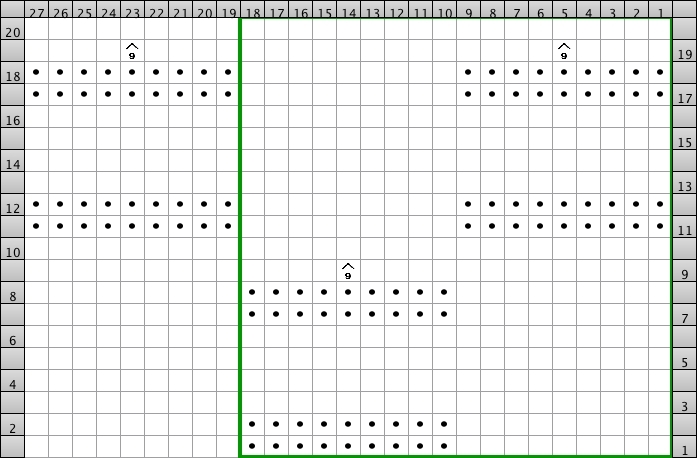 This pattern can be stopped, only after Row 10 or Row 20. Anything else would disrupt the stitch pattern and overall appearance. Insert right needle tip in the purl loop, nine rows below the next stitch, and place it on the left needle. Knit the next stitch and the loop together, making one stitch and creating a bow like effect. This bow concept can be altered by changing stitches and rows used, and done in a lace weight yarn, this stitch will appear quite different. 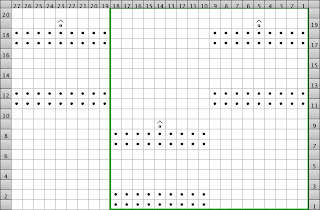 If knitting in the round, omit the extra 9 stitches and follow the boardered chart pattern only.